Ever wanted to experience a Western Montana Chuckwagon dinner? Us too. That is why we headed up to Z5 Ranch in Arlee, Montana just 30 minutes north of Missoula to take it in ourselves. It isn’t long after arriving at the ranch before we were greeted by Nib’s the goat and other furry ranch friends like ponies, sheep and cows. It wouldn’t be a chuck wagon dinner without a wagon ride around the ranch. The dinner started with bison steak, salad, seasonal vegetables and fire-grilled bread and ended with an artisan huckleberry crisp. After brief introductions and some history behind the Ranch, we started out the show with some traditional Native American drumming. Legendary Montana Cowboy poet, JR Strand led us through a couple of his Western poems throughout the night. Next we got to experience some live country western music by local artists Matt Brown and Dan Neuman of the band Shodown. Followed by some authentic Native American dancing. As the evening was ending we graced with a beautiful Montana sunset and a full moon rising over the Mission Mountains. 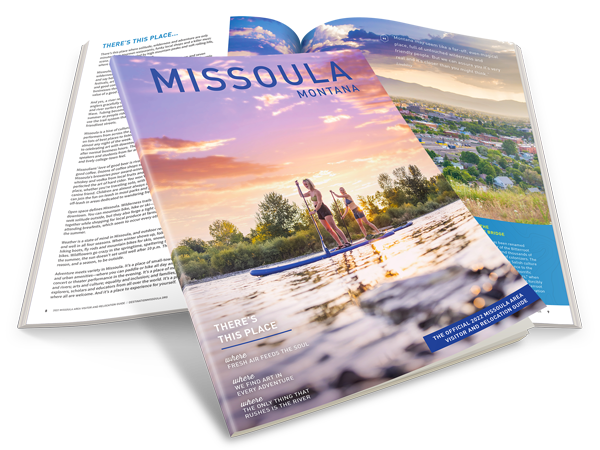 Visit our events calendar for more events like this in Missoula. Check out Z5 Ranch’s website for more information about the activities and events up at the Ranch.